The Sulphur Armory is a single-story, essentially rectangular (145′ x 122′) structure consisting of a drill floor with a wing on the south side. Constructed of rusticated and coursed native stone, the armory has a recessed main entryway framed with pilasters capped by molded concrete and a cornice at the roofline also of pre-formed concrete. The drill floor has a high arched roof with parapets; the wing has a flat roof with parapets. Elongated metal casement windows have concrete sills. Pilasters at the corners and concrete slab insets above the windows provide decorative relief. One of the four garage doors has been blocked in with cinder block, leaving a single door entry. This alteration does not impair the integrity of the building. The armory is significant in that it has contributed to the military defense of the nation, especially during World War II when the Oklahoma National Guard won distinction in Italy. Also significant is that its construction provided a means of livelihood for many distressed and jobless residents of the Sulphur area during the depression. The armory is readily noticeable within Sulphur because of its scale and materials. It is also notable for its style and high level of workmanship. 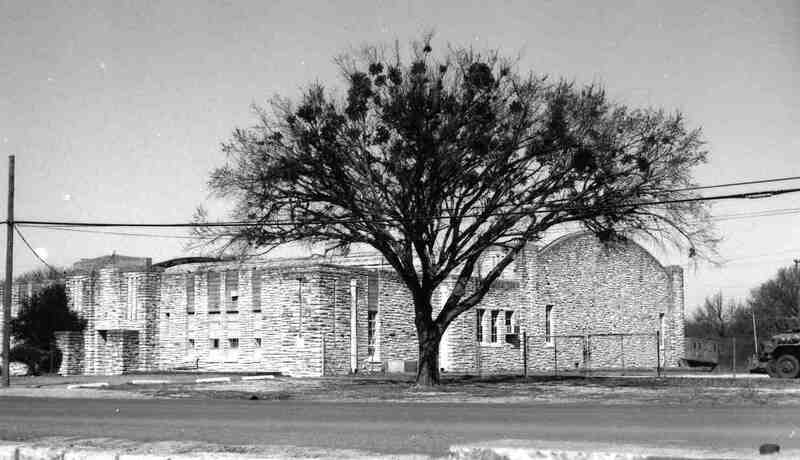 Construction of the Sulphur Armory began with the ground-breaking on October 8, 1935, although few construction materials and tools were available. Until 1933 the local Guard unit, formerly a horse-drawn field artillery battery, stabled its horses on the banks of Rock Creek on the site of the future armory. Trucks replaced the horses in 1933 and the site had become overgrown with head-high weeds. Contributions and loans from local suppliers and builders allowed work on the new armory to begin until regular shipments of supplies began. Almost all the work was done by hand, including grading the site and excavating the basement rifle range, to provide maximum employment for the laborers. About three-quarters of the work was done by relief labor. Nearly 90 percent of whom, builder W. L. Scott noted, stayed with the job to completion. Minimum pay per month, guaranteed, was $23 for 130 hours. 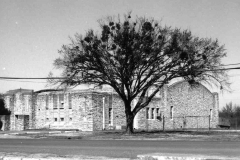 Completion of the building in the spring of 1937 was a cause for a two-day community celebration. The dedication on May 27-28 by WPA State Director General W. S. Key drew a crowd of about 2,000. The ceremonies were broadcast by radio. Additionally, many of the festivities were recorded on movie film and a special magazine, The Reel Cart, was published to commemorate the event. 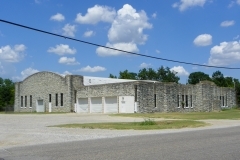 However, the Sulphur Armory had already begun to meet its dual function as a community center by serving as the site of boxing and wrestling matches and baccalaureate ceremonies in the preceding two months. Construction of the Sulphur Armory met the practical goal of the WPA by taking men off the county relief roll, restoring their independence, and increasing their purchasing power. Use of 3,504 tons of limestone, 1,080 tons of sand,108 tons of cement, 40 tons of brick, and 13 tons of asphalt most of it produced in the Sulphur vicinity further stimulated the local economy. 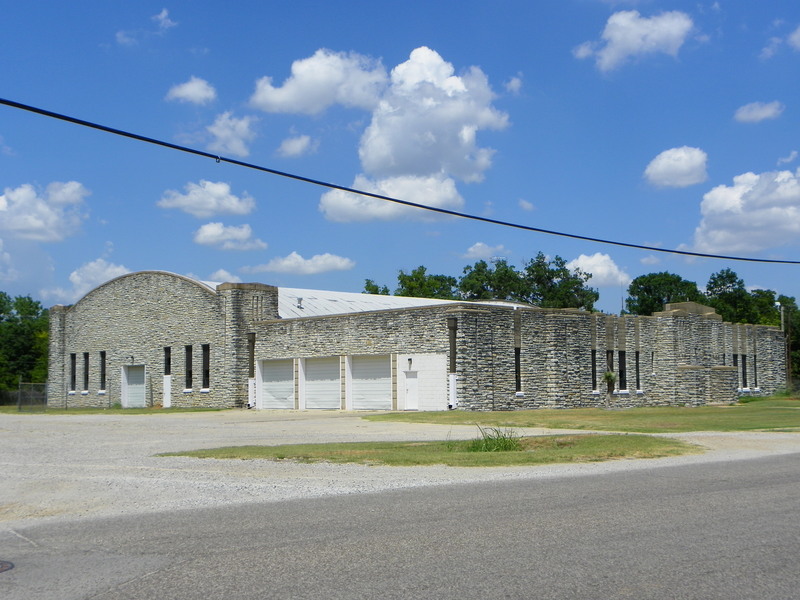 The Sulphur Armory, 145′ by 122′, was the largest building in Murray County. Located directly across the street from the high school campus, sports field and new WPA-built stadium, it was also one of the most visible and public. The total cost was $46,000. The administrative section included offices, a radio room, classrooms, locker rooms, storage space, and a garage for the now motorized battery. The drill hall, with the finely-finished wood-block floor marked as a basketball court, also boasted a stage and a basement rifle range. The Oklahoma National Guard unit that received the Sulphur Armory as its new home was Headquarters Battery, 158th Field Artillery.